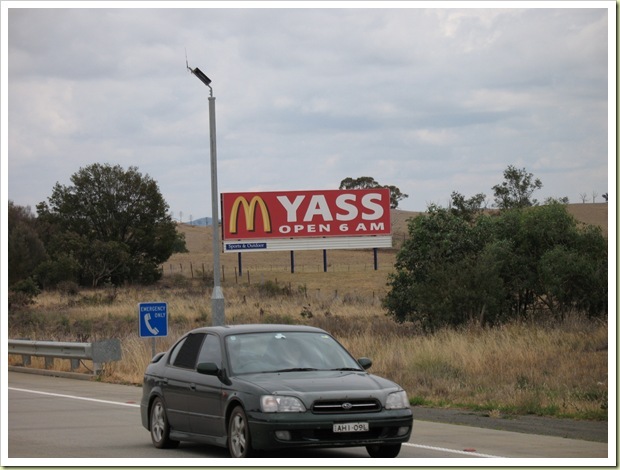 Yass is a town in rural New South Wales, Australia. btw, a piece on BBC Radio 4 today about the moral panic against demon drink in NSW. Similar to panic in UK. Best line: “Glassing people is unAustralian”. Really!! Usual nanny stuff, incl. presenting suggested legislation as being already passed, i.e. plastic glasses after midnite. I suppose throwing plastic glasses is better than no fun at all…. I tagged you for the Happy MeMe. btw, a piece on BBC Radio 4 today about the moral panic against demon drink in NSW. Similar to panic in UK. Best line: “Glassing people is unAustralian”. Alcohol in and of itself ought not to be the subject of a moral panic. Smashing a glass into someone’s face ought to be.